No one in the town of Bonnyripple ever kept a grudge. No one, that is, except old Cornelius, the Grudge Keeper. 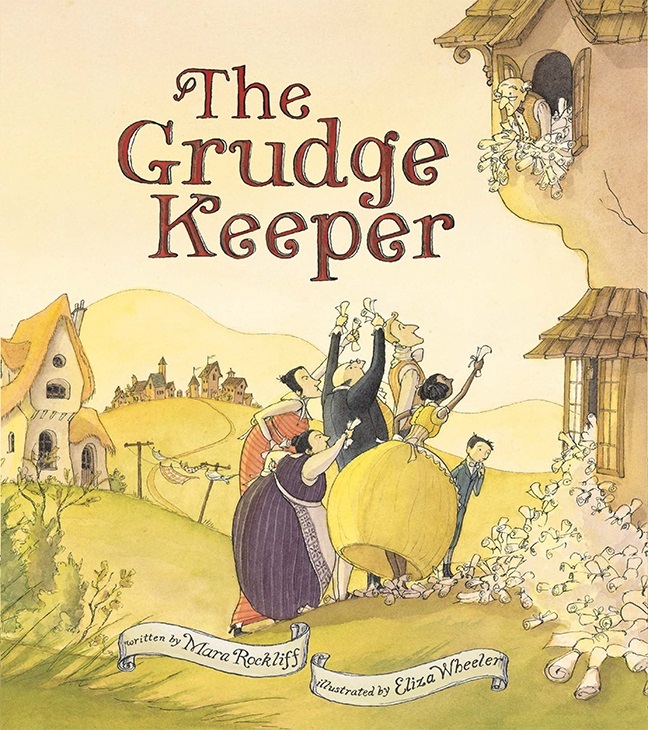 Ruffled feathers, petty snits, minor tiffs and major huffs, insults, umbrage, squabbles, dust-ups, and imbroglios–the Grudge Keeper received them all, large and small, tucking each one carefully away in his ramshackle cottage. 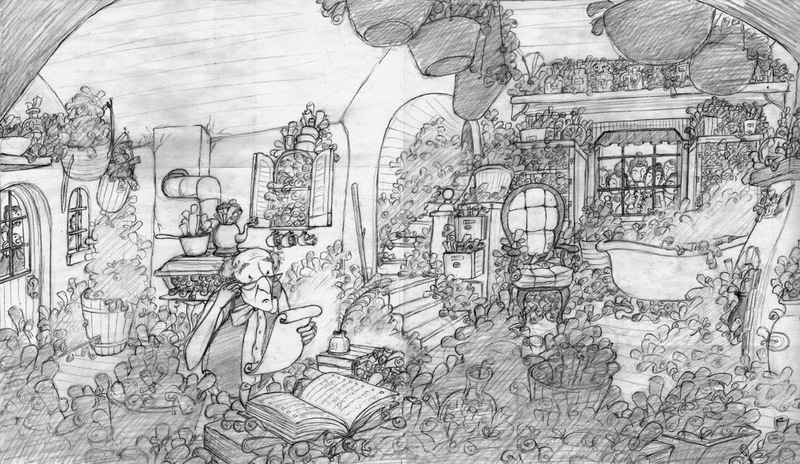 When a fierce wind blows through Bonnyripple, the residents are forced to rescue Cornelius and deal with their various disputes . 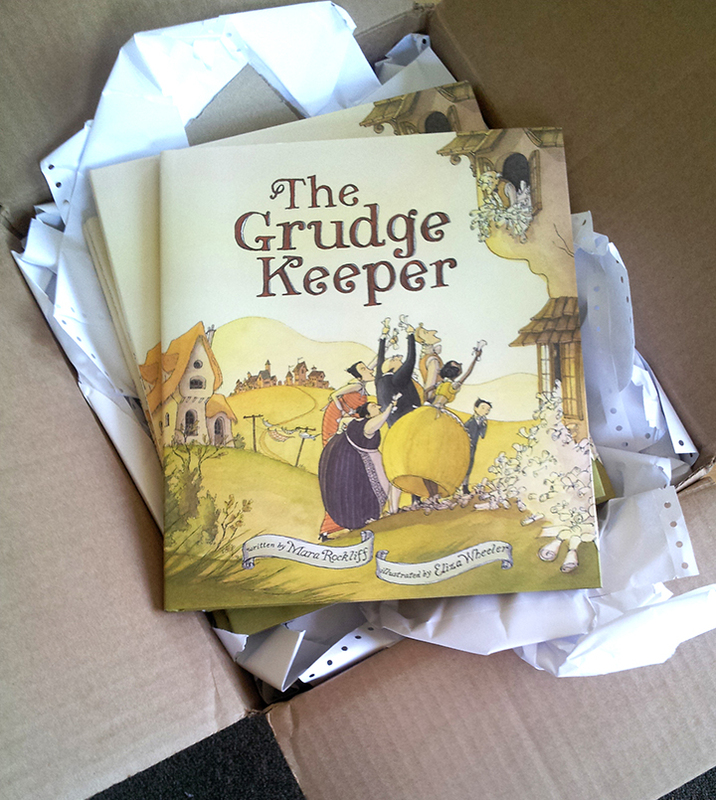 . .
A picture-book that I illustrated, THE GRUDGE KEEPER (written by the talented Mara Rockliff), was released on April 4th, 2014. It’s such an exciting moment to see the book all put together, in real life! Boxes of books to be signed! Sketches for the large cast of characters. 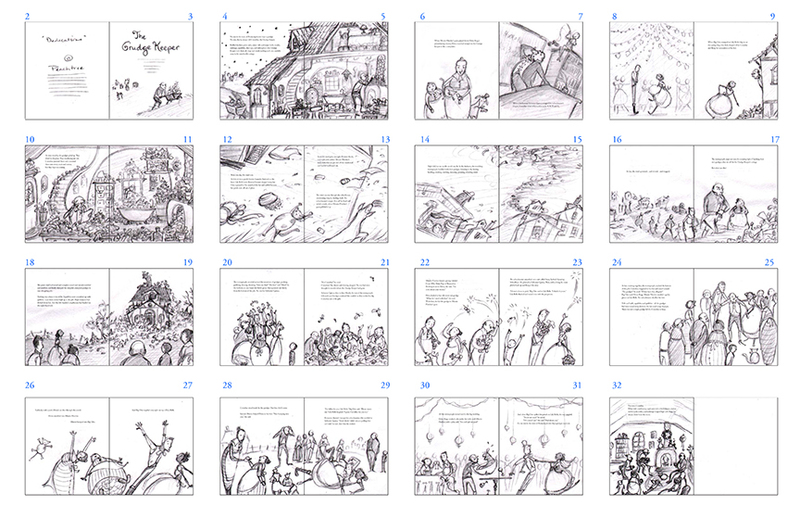 Thumbnail layout of the book. 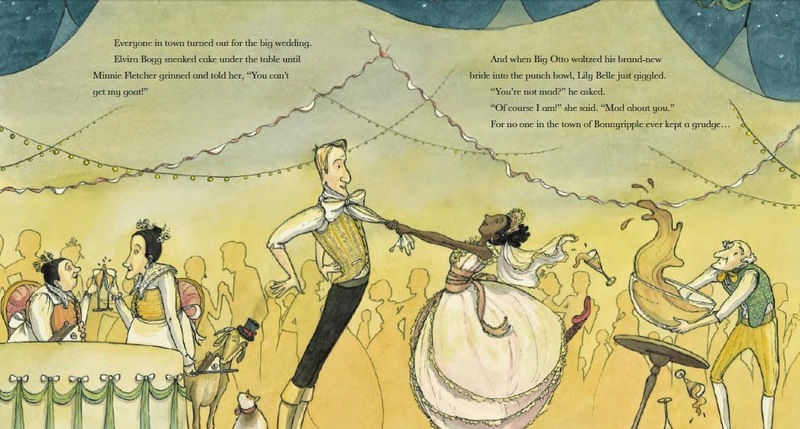 Three cheers to Mara Rockliff’s wonderful story, and to Peachtree Publishers for all their amazing work bringing it to fruition! For more info about the book, visit Peachtree Publishers online. 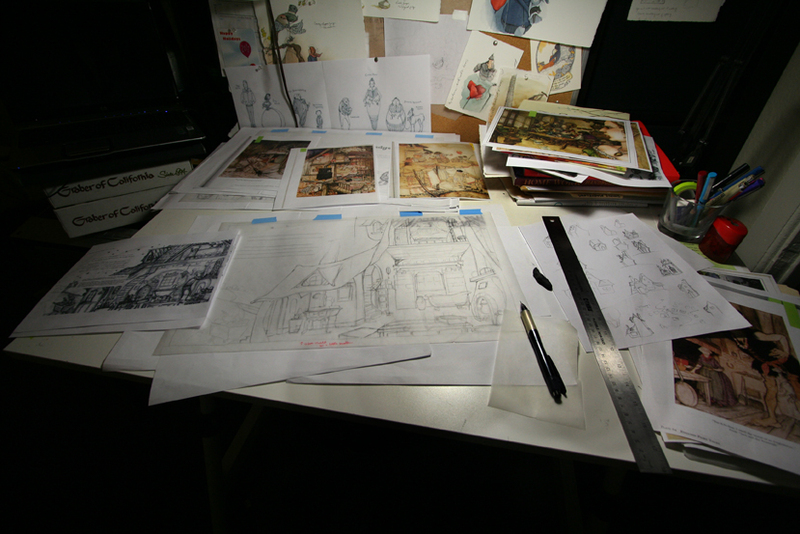 Right now I’m knee deep in sketching for the picture book THE GRUDGE KEEPER, by author Mara Rockliff. 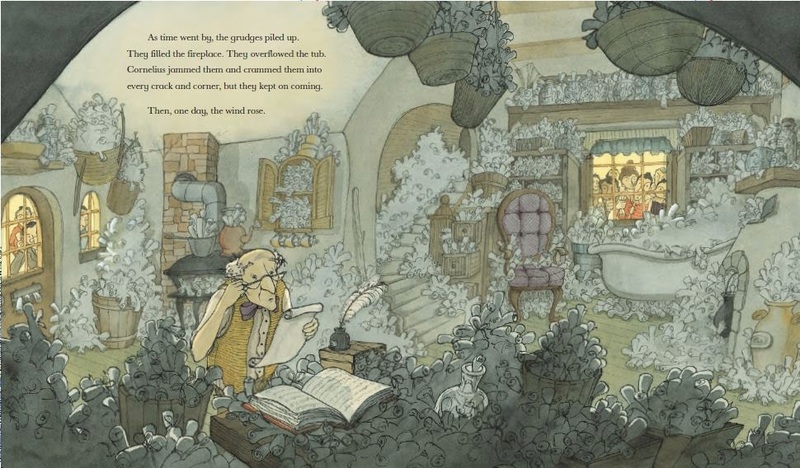 It’s a folk-tale inspired story of the one man in town who collects everyone’s insults, umbrage, and petty complaints, filing them all away in his cottage. Mara’s manuscript is brilliant! 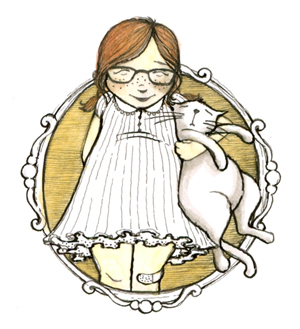 It’s been exciting to be able to visualize this quirky world and characters that Mara has created. 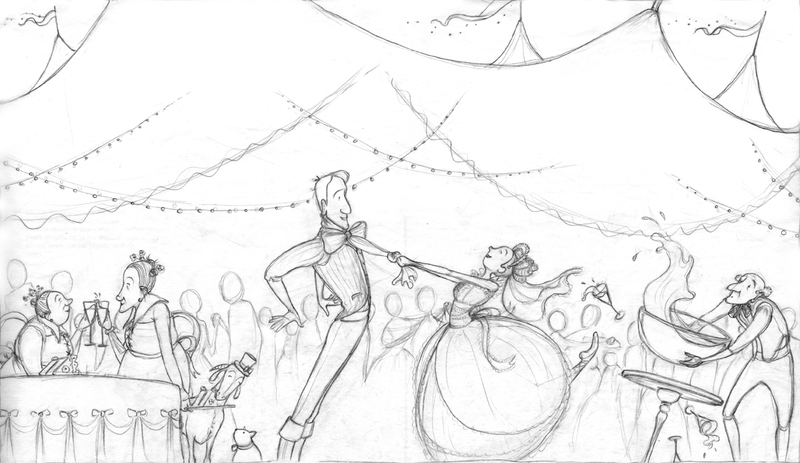 Sketching is, for me, by far the most grueling stage in the illustration process. I will admit that I look forward to nailing down these sketches and moving forward to inking and color. Will share more as I’m able!